BRAZIL: Anti-Gay Extremist Likely To Become President - Joe.My.God. 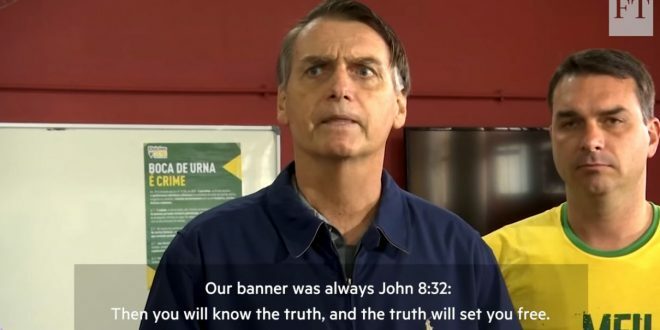 Many of Bolsonaro’s core backers are also huge fans of Trump — a leader with whom Bolsonaro shares striking parallels. Bolsonaro is a tough talker whose strongest followers include white men who feel left behind by economic and social change. He champions “traditional values” but has been married three times. He reaches out to his legions of followers via social media.